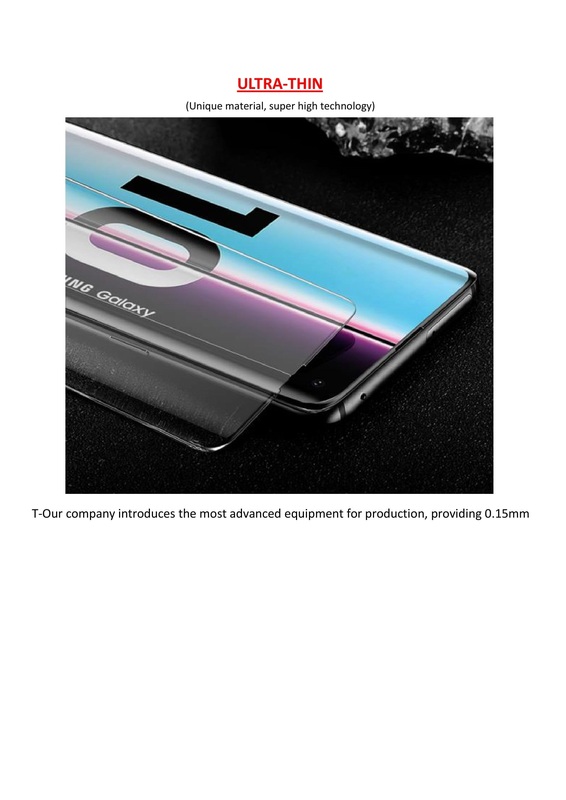 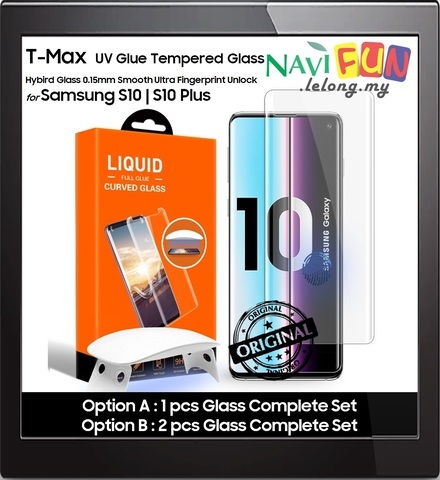 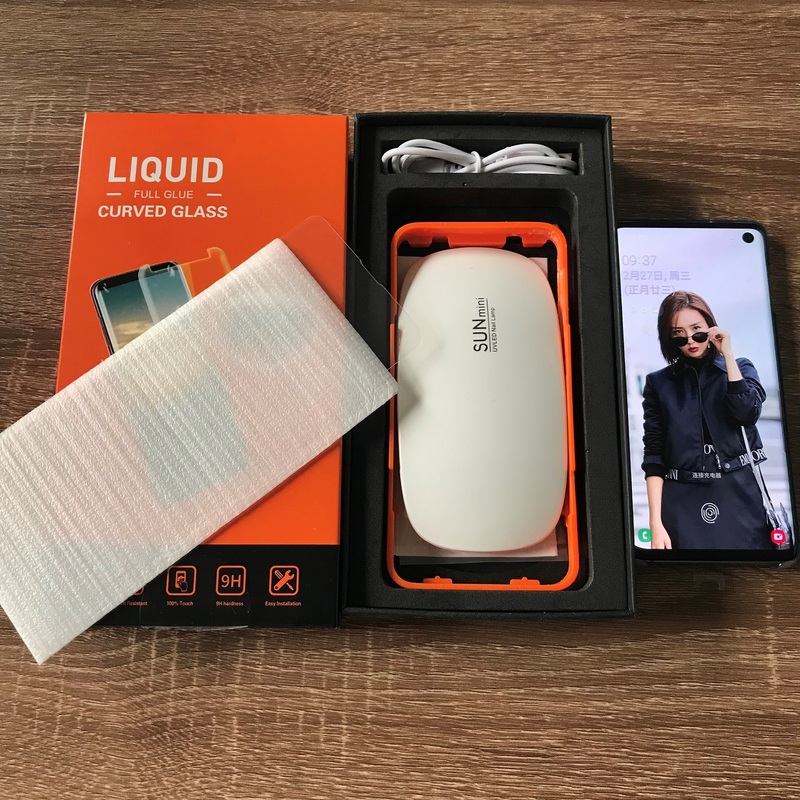 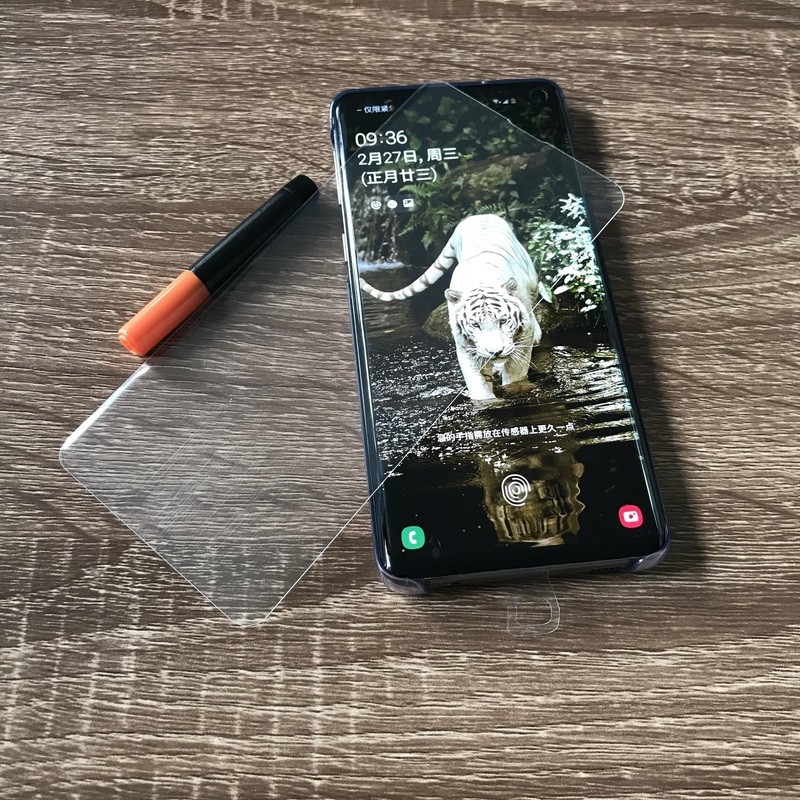 T-Max Full Edge-to-Edge Adhesive Case Friendly Tempered Glass is a breakthrough technology full adhesive tempered glass. 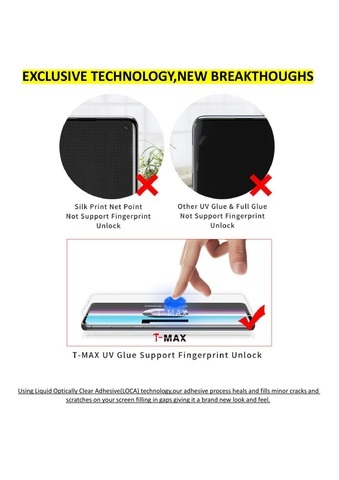 It acquires a portable UV machine to install. Full Adhesive Glue, eliminating the problems of screen sensitivity, rainbow effect, screen dot matrix and etc. 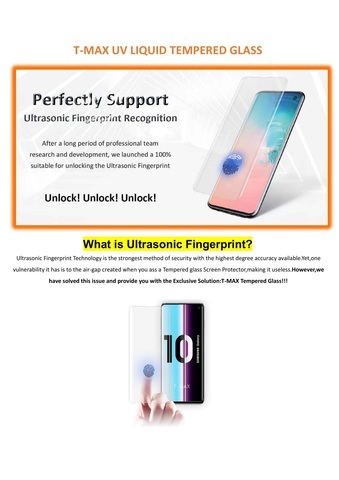 Not mentioning it's case friendly design, will be able to fit in most of the cases on market including UAG, Spigen, Ringke etc. 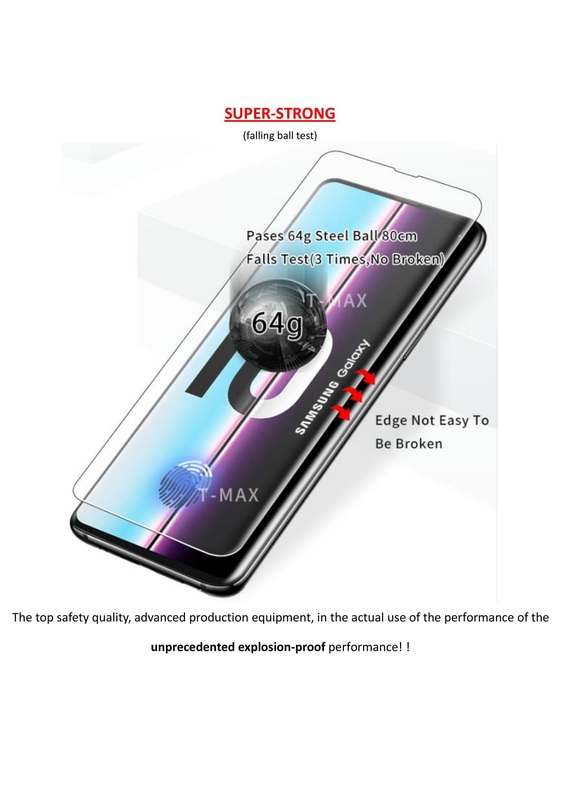 Introducing the T-Max at a much more affordable economical price, do also look at our specially custom video with the installation guide, sensitivity video and removal test! 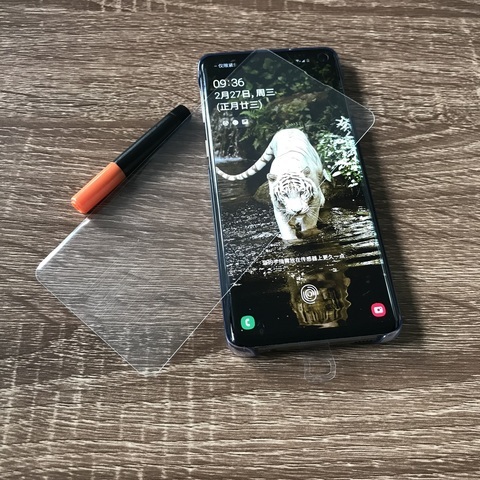 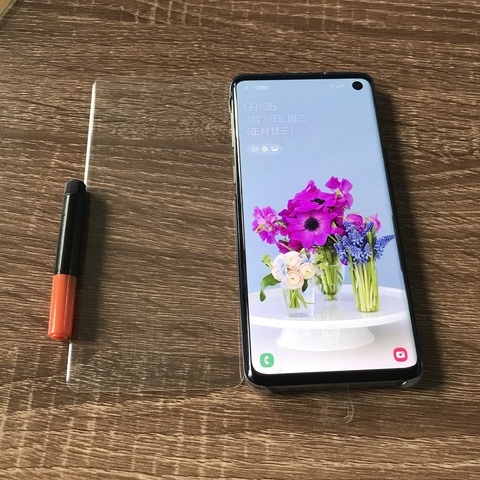 IMPORTANT NOTES: DROP THE UV GLUE SAME LEVEL OF BIXBY BUTTON, MAKE SURE THE GLUE THICKNESS TO FINGERPRINT SENSOR IS LESS, PREVENT OF UNABLE TO USE FINGERPRINT UNLOCK!